Margaret River in Western Australia produces a mammoth 20 per cent of our nation's premium wine. Vinotourists swill, sip and spit their way around more than 95 cellar doors, but it's also a hotspot for food lovers. Passionate producers, native ingredients, immigrants-turned-chefs and more whet appetites worldwide, while Gourmet Escape, a food festival that attracts international talent such as Nigella Lawson, is expanding to the Swan Valley and Perth with a grand-finale weekend in Margaret River in November. For those who already have Cullen, Vasse Felix, Will's Domain and Aramia wineries on their list, here's everything else. Josh Whiteland, or Koomal if you're using his traditional Wadandi name, is an ambassador for the region and his heritage. 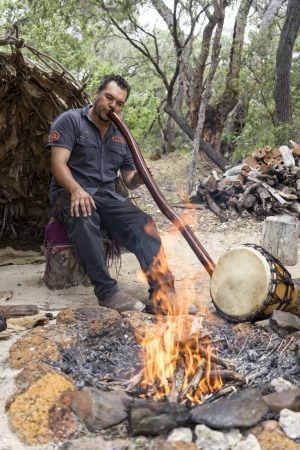 Whiteland shares Aboriginal knowledge with visitors during a range of Koomal Dreaming tours, including a 1½-hour forage for bush food and medicine. Extend it to three hours to include Ngilgi Cave and a beach barbecue featuring ingredients such as kangaroo, emu, quandong and saltbush. Customised food tours are also available. Since presenting at the MAD Food Symposium in 2013, Whiteland has hosted some of the world's top chefs. Taking on the mammoth task of familiarising non-Indigenous Australians with Australian food, Fervor holds pop-up dining events throughout the year. These open-air degustations have been held in everything from the Pinnacles Desert to the Whalers Tunnel in Fremantle. Having previously worked at establishments such as Vue De Monde, Coi in San Francisco, Pujol in Mexico City and Copenhagen's Noma, Fervor owner-chef Paul "Yoda" Iskov now travels the state learning about ingredients such as bush bananas, green tree ants and boab tubers from Aboriginal communities, before planning seasonal degustations. Yarri, which opened in Dunsborough at the start of 2018, also harnesses indigenous ingredients. A collaboration between Aaron Carr (head chef at Vasse Felix for more than two decades) and Snake + Herring Wines' co-founders, the menu also celebrates local growers. Depending on when you visit, fat prawns might be wood-grilled and served with XO sauce and saltbush, or venison tartare with sunflower, egg yolk and Davidson plum. 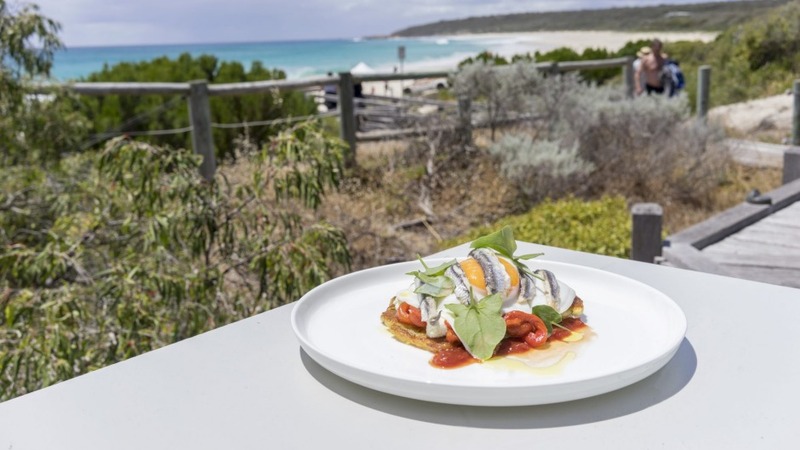 Pizzica – named for a southern Italian folk song and dance – is Margaret River's "it" restaurant, also having opened in early 2018. Meat and veg come from local growers, but the 5 Stagioni flour is imported from Italy. Every table sports a pizza or puccia (stuffed, wood-fired bread), but the porchetta gets rave reviews. Margaret River has its fair share of Asian cuisine, too. The pinnacle is Miki's Open Kitchen. Mikihito Nagai has lived in Western Australia for 22 years, the last 15 in Margaret River. He's upfront about his take on Japanese food. "I don't want to do traditional-style Japanese," he says. "I want to do Margaret River-style Japanese." This translates to tasting menus incorporating hyper-local ingredients, often bought direct from the farmer, on the kind of ceramic crockery you want to nick. A warm entree might spotlight a plump tempura-battered Abrolhos Island scallop on verdant spring onion puree, while the rice course of gossamer-thin Margaret River wagyu layered on rice comes with a complex kombu broth poured from a teapot. Wine or sake pairings are only $35, but you can BYO wine for $10 a bottle. Book ahead for a 6pm or 8pm sitting. Also worth mentioning is Teddis Big Spoon down the road, a cheap and cheerful Korean restaurant serving tteok (finger-like rice cakes), somen wheat noodles and warming hotpots. At the risk of mentioning wineries without talking about their wine, Fishbone has a small restaurant on a manicured lawn serving Japanese, while Chow's Table offers contemporary Chinese and Malay cuisine at House of Cards winery in Yallingup, with plates like soft milk buns stuffed with Shark Bay crabmeat and XO mayo, and Arkady lamb ribs with sweet and sour Vegemite. An increase in tourism also ups the demand for decent coffee. Start at a cafe with a postcard-perfect view; perhaps Bunker's Beach House Cafe, 10 minutes' drive from Dunsborough with boardwalk access to the Indian Ocean and whale sightings between August and December, or White Elephant Cafe, another 10 minutes by car east of Margaret River, its expansive deck hanging over Gnarabup Beach. To brunch with Margy locals, try Sidekick Cafe from the Settlers Tavern family – the coffee comes from Duke's in Melbourne. Nearby in Busselton, The Good Egg is a two-storey, industrial cafe. Upstairs is a co-working space, while downstairs serves Micrology beans from Fremantle and brunch dishes ranging from vanilla french toast with bacon to a big vegan breakfast. If you want to learn more about coffee, stop in at Yahava Koffeeworks just south of Margaret River centre, a coffee showroom with a small cafe and lots of free tastings. Diehards should go on a 90-minute "Koffee Safari", where you'll roast beans, taste the difference between brewing methods and sample tea and chocolate, too. In Dunsborough, Albert and Nikola is a small cafe that takes coffee seriously and serves colourful smoothie bowls and raw treats. Hitting the road back to Perth? Join the masses and order your takeaway from Merchant and Maker, or pick up pre-prepared meals on the way in. Expect to wait during busy times. Gin lovers can't miss Giniversity at Margaret River Distilling Co. located on the edge of Margaret River town. Here you can take distilling and blending classes on Fridays (bookings required), taste Giniversity Gin, Limeburners Whisky and Tiger Snake Whisky from the sister distillery, or stay for lunch surrounded by native bush. Beer aficionados are spoilt for choice. Brewhouse, also on the edge of Margaret River town, is a microbrewery founded by three couples. It's a welcoming space with a deck, lawn and playground, built beside an original 1940s settler's cottage. There are pizzas and burgers, but you can also get wood-fired pumpkin salad with tahini and puffed grains. Most of the beers have won awards, but we like the bitey Red IPA and Undies Oatmeal Stout. At Caves Road Collective, Black Brewing Co. makes beers from the natural spring onsite in Willyabrup, also home to Dune Distilling and Ground to Cloud Wines. Expect live music at the restaurant on weekends. Beyond that there's Eagle Bay Brewing Co. with its restaurant vegie garden and window through to the brewery equipment (try anything from the single series 1000-litre batches, where the brewers get experimental); Beerfarm on an old dairy in Metricup complete with giant slippery slide; tinnies at Margaret River's own Cheeky Monkey with panoramic views, Colonial Brewing Co.'s Margaret River venue and enough others to justify being shown around by Margaret River Brewery Tours. Every Saturday the Margaret River Farmers' Market is the best way to see the region's bounty in one spot and chat to the people behind the produce. Line up for a latte at Combi Coffee van and save room for a banh mi from Jindong Free Range Pork. For cheese, try the white mould and yeast-ripened St Julian at Yallingup Cheese overlooking the lake, or gather a picnic with kangaroo and emu smallgoods from Margaret River Venison in Cowaramup. 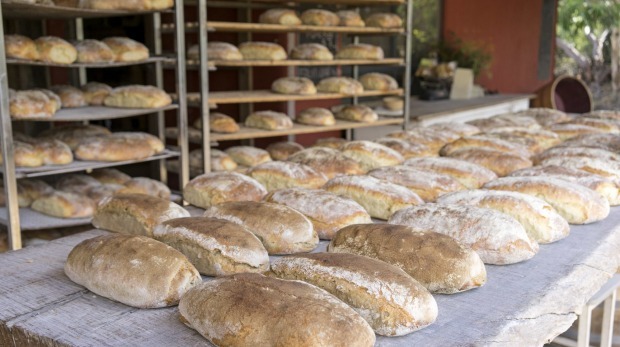 Nearby is the original Yallingup Woodfired Bread. Baking during the day to avoid the anti-social lives bakers usually lead, the best time to visit is 4pm, when the fruit loaf comes out of the oven and the sourdough is still warm. There's another in Margaret River's industrial area. Stop in at Gabriel Chocolate, also in Yallingup, for dessert. The bean-to-bar shop sells 24 bars made from 10 varieties of cocoa beans. Gabriel is often there to walk you through a tasting. 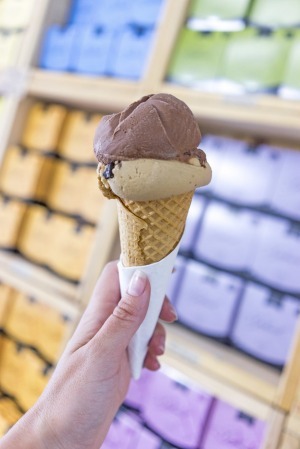 His wife makes the ice-cream with sunny-hued Sunnydale Dairy milk from Perth. A single scoop can be split into two flavours and is exceedingly generous for $4.50. Take an Ecuadorian milk chocolate chunk cookie for the road ­– they have a reputation among those in the know. For a truly food-focused holiday, stay on a farm. Burnside Organic Farm has four cosy bungalows spread out over the McCall property, where the family grows avocados, grapes, capers and harvests honey ­– all available to buy. You can help yourself to sections of the organic vegetable gardens, and the generous farm breakfast is worth the booking alone. This article isn't about wine, but if it were, we'd tell you to organise an organic tasting at its small cellar door (open to the public Fridays, 11am to 4pm). Alternatively, Olio Bello offers six luxury glamping bungalows that hug a lake. The shop, cafe and olive groves are all within crawling distance on the 130-hectare organic property in Cowaramup. You can book in-room massages with olive oil harvested and processed on the property, buy produce from the store for a picnic among the olive trees and indulge in the signature Chocabella dessert, a decadent mousse made with Olio Bello Mandarin oil. Sofia Levin was a guest of Tourism WA.